Ask any seasoned gardener and they will tell you stories of their watering woes. "We never had to worry about water shortages before, watering only on even or odd numbered days, or any of this! It seems like we could depend more on the spring rains back then too, but when it was dry we simply got out the hose and watered our garden. Nowadays, we have to sneak out at night to water like we're criminals!" 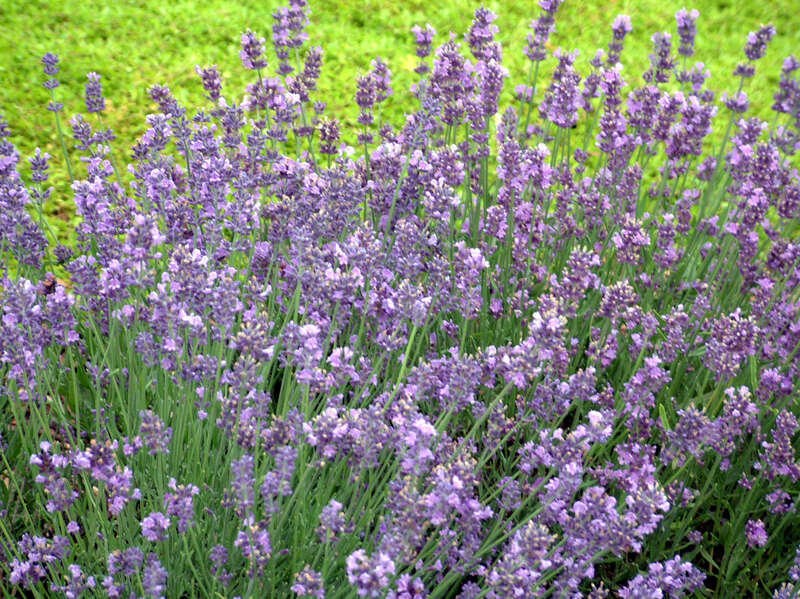 Lavandula a. 'Munstead' is often used as edging along pathways because it can handle the reflected heat well. This variety does double duty: it is heat and drought tolerant but it also considered to be the most cold hardy cultivar available. While some of these seasoned gardeners continue the uphill battle of keeping their gardens watered, many gardeners are now choosing to work with the changing climate rather than fight it. 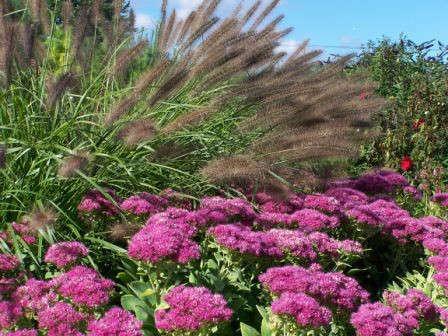 They are replacing water-hungry annuals with drought tolerant perennials that will thrive with little attention in their landscape for many years to come. With such a wide selection of drought tolerant plants now available in garden centers nationwide, gardeners can choose from an array of beautiful flowering plants in a rainbow of colors and sizes. 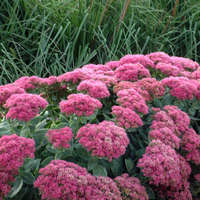 Be sure to check out the extensive list of drought tolerant perennials below. Keep in mind that some are more drought tolerant than others. For detailed information on each perennial listed below, check out our Perennial Library on www.perennialresource.com. What does a drought tolerant perennial look like? Many drought tolerant plants also have deep roots that seek moisture well below the soil surface. Some send up masses of fine feeder roots to collect available moisture at the surface and send it down below to the main roots. Where do drought tolerant plants grow best? 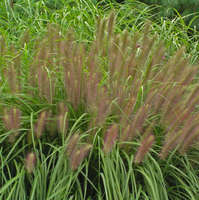 Pennisetum a. 'Red Head' and Sedum s. 'Neon' make excellent companions because they both share the cultural requirements: full sun and well-drained soil. As an added bonus, they both bloom in late summer, putting on an excellent show in the landscape! I need specific cultural information about drought tolerant plants. Where can I get it? www.perennialresource.com. 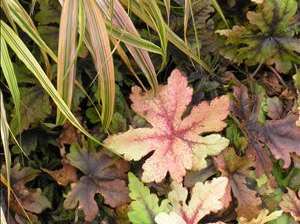 A detailed plant record for every perennial listed below can be found on our consumer website. Here are some general guidelines for the culture of drought tolerant plants. Soil — Well-drained, loose soil is essential to the survival of drought tolerant plants. The loose soil structure allows their roots to grow deep down where the moisture is held. Many of these plants also benefit from the addition of organic matter to the soil, which helps add nutrients and hold moisture. If your soil is heavy, add small pebbles or coarse sand to improve drainage. Water — Even the most drought tolerant perennials require supplemental water until they are established. The smaller the root system, the more water they'll need, but the general rule is one inch of water per week (including rain). Less frequent but deep waterings are better for plants than more frequent but light waterings because it encourages them to send their roots down deeper into the soil. As the plants begin to grow and thrive on their own, gradually decrease the amount of supplemental water. Mulch — Mulch your drought tolerant perennials with about two inches of organic material such as shredded bark or leaves. Do not use stone as a mulch--it holds heat and reflects light which can damage the plants. 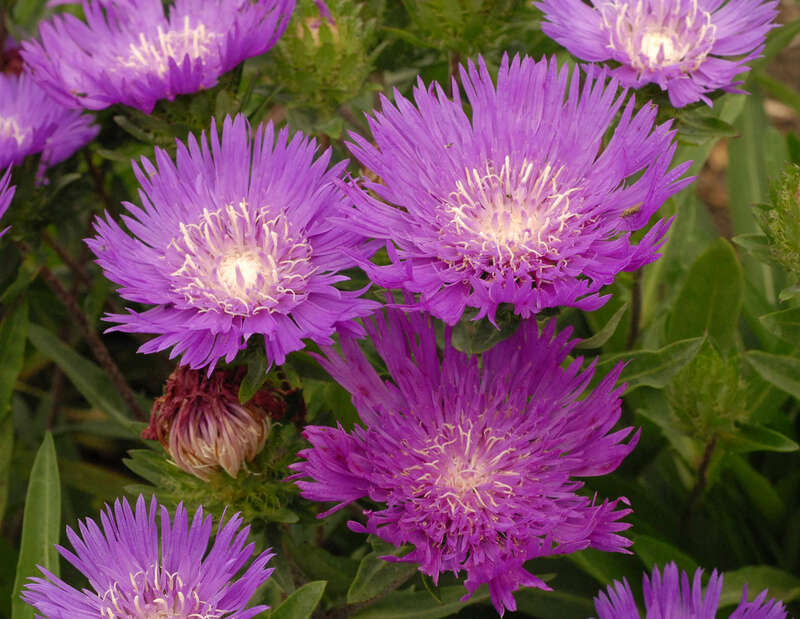 Stokesia l. 'Honeysong Purple', a native American wildflower, is widely grown in the south due to its heat and drought tolerance. 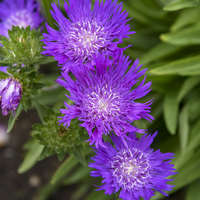 It is very easy to grow and rewards you with a profusion of blooms from midsummer into early fall. Fertilizer — Use fertilizer sparingly on drought tolerant plants. If they begin to show signs of decline or discoloration, it's time to fertilize. 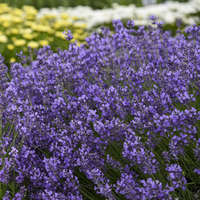 Division — Most drought tolerant perennials will perform admirably for years without being divided. 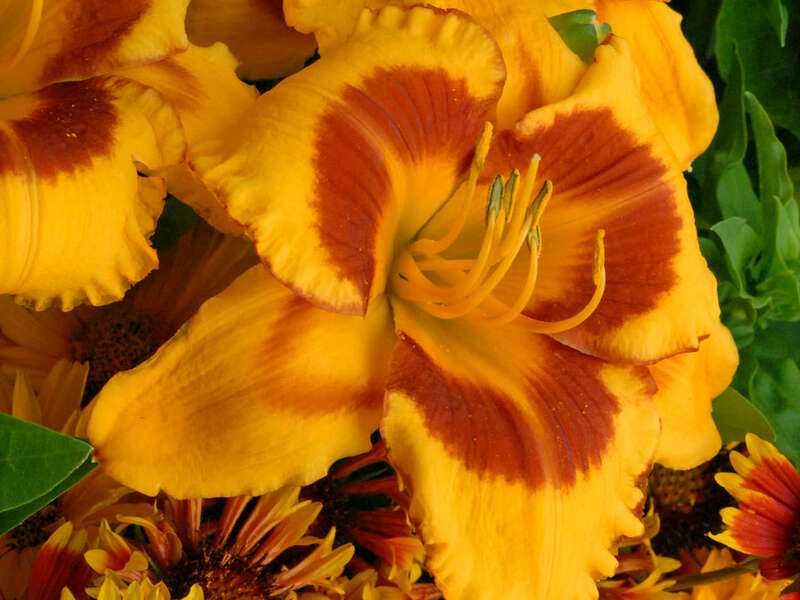 Exceptions include the most vigorous or prolific perennials such as daylilies, hostas, and tall bearded irises. Here in Michigan, the leaves on the trees have offered up their last show of color for the year and have begun to fall, the first frost appeared early one morning last week, and the birds are gathering, making plans to fly south for the winter. 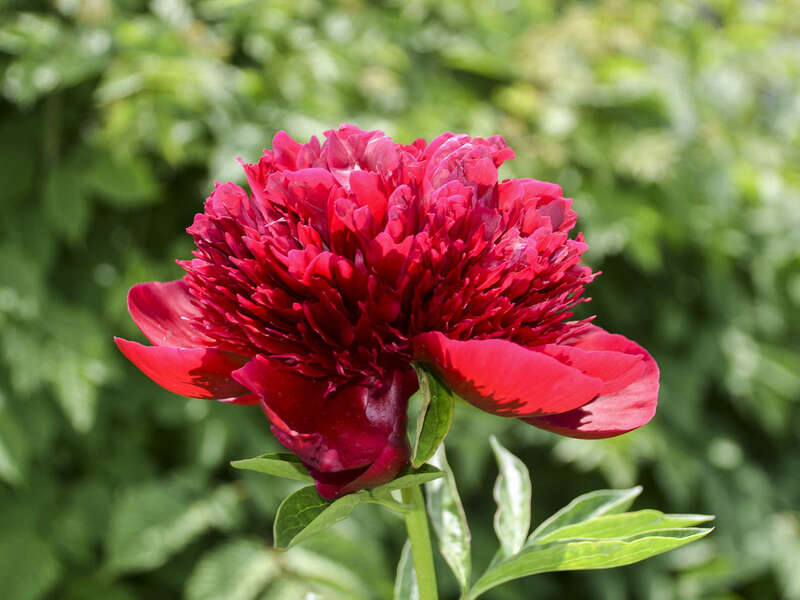 The best time of year to plant garden peonies is in the fall. They will spend their first year getting established and will not be floriferous.